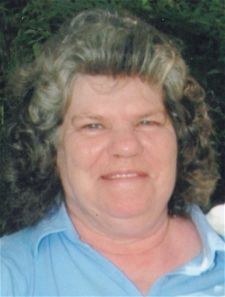 Brenda Brown Eanes, 71, of 151 Highland Avenue in Eden, passed away Sunday, February 10, 2019, at Wake Forest Baptist Medical Center in Winston-Salem. A funeral service will be held at 2 PM on Wednesday, February 13, at Fair Funeral Home Chapel with burial to follow in Ridgeview Memorial Gardens. The family will receive friends Tuesday evening, 6 - 8 PM, at Fair Funeral Home and other times at the home of Darryl and Sherry Tilley at 903 Tenth Street in Eden. A native of Rockingham County, NC, Brenda was born August 21, 1947 to the late Garner Coolie Brown and Iona Kirkman Pulliam. She is survived by her five sons, Walter Tilley, John Pulliam, Darryl Tilley (Sherry), Garry Tilley (Wendy) and Scottie Eanes (Christine), all of Eden; daughter, Lisa Emerson of Eden; two step-daughters, Joan Spain of Eden and Kathy Lee of Burlington; 14 grandchildren; 14 great-grandchildren; and sisters, Jeanette Vernon and Wendy Burgess, both of Eden. In addition to her parents, she was preceded in death by her husband, Bennie Thomas Eanes and daughter, Teresa Chavis. Darryl, Sherry, Jason, Bray, and Alexis, We are thinking of you during this sad time, and surrounding you in prayer. Love you all, Jan and B.B.